A common misunderstanding seems to be that the only way to increase the available “paper space” for a diagram is by increasing the size of the paper. But there is another way to do that, which is in the Model -> Diagram Size dialog, where you can set the number of pages your diagram has, vertically and horizontally (perhaps it’s not very obvious to first time users, so we’ll be working on making it more easily accessible). Another recurring issue is that of printing in the community version. Direct printing is currently only available in Workbench SE, but that doesn’t mean you cannot print using the OSS version. You can still export the model to a variety of formats, like PDF, PNG and SVG. And once you export as an image you can print it with any tool that can handle such files, like Acrobat Reader or something similar. We introduced a new library to use with our update-feature inside Workbench. With the new lib (yassl) it’s possible to use SSL encryption for the authentication/download of new SE releases. This was not possible with libcurl because we’re not allowed to use/bundle openSSL. As this update is included staring with 5.0.22 all SE users will have to download version 5.0.22 manually from the enterprise pages one more time. Please logon to https://enterprise.mysql.com/software/gui_tools.php with your mysql username and password, download the latest release and launch the installer manually. Sorry for the inconvenience. 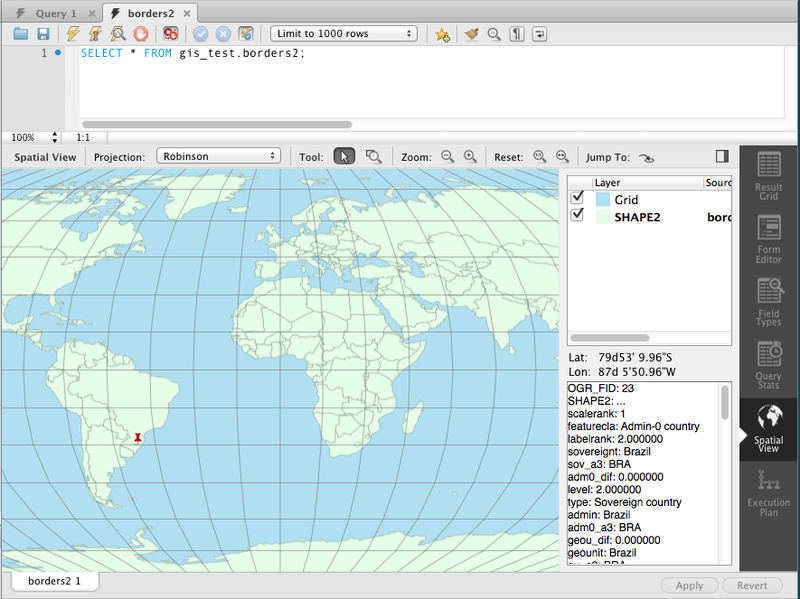 MySQL 5.7 will include much awaited GIS support for InnoDB tables. To make it easier to quickly visualize spatial/geometry data in geographic context, Workbench 6.2 includes a viewer for resultsets containing that type of data. The viewer will render data from each row as a separate clickable element. 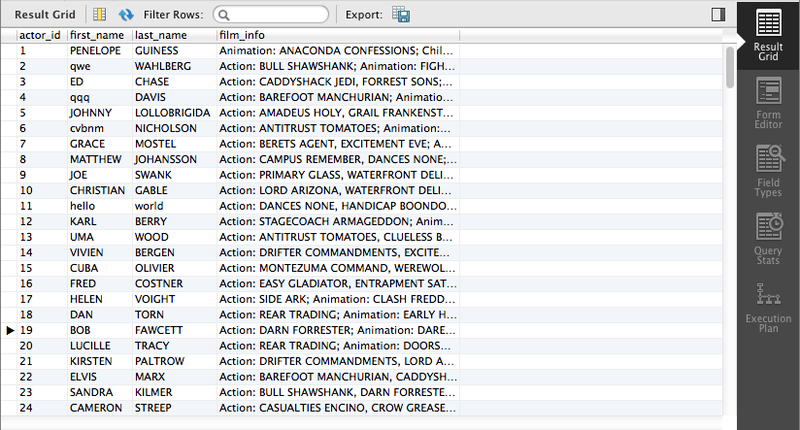 When clicked, you can view the rest of the data from that row in the textbox. 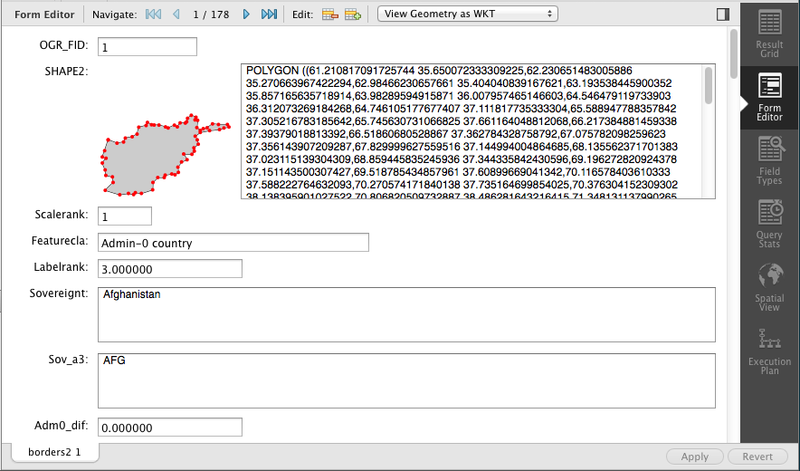 If you have multiple queries with geometry data, you can overlay them in the same map. Both the Field and Form Editors were updated to support the GEOMETRY datatype. 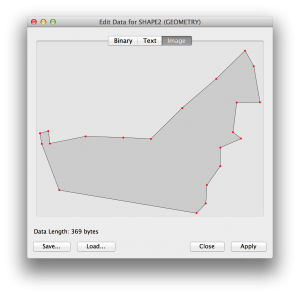 You can view geometry data like polygons from a single row as an image or as text, in any of the common WKT, GeoJSON, GML or KML formats. MS Access support was added to the Migration Wizard in MySQL Workbench 6.2, joining MS SQL Server, Sybase ASE, Sybase SQL Anywhere, PostgreSQL, SQLite and “Generic ODBC” as migration sources. You can read more about it in How-To: Guide to Database Migration from MS Access using MySQL Workbench. 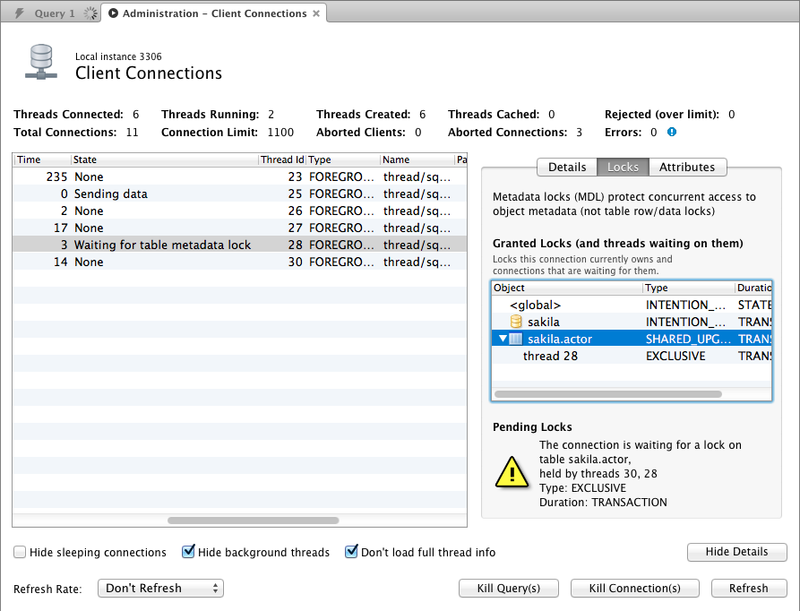 MySQL uses metadata locking to manage access to objects (tables, triggers, and so forth). Sometimes that can be puzzling, as your query may block waiting on an object being manipulated by another connection from maybe another user. 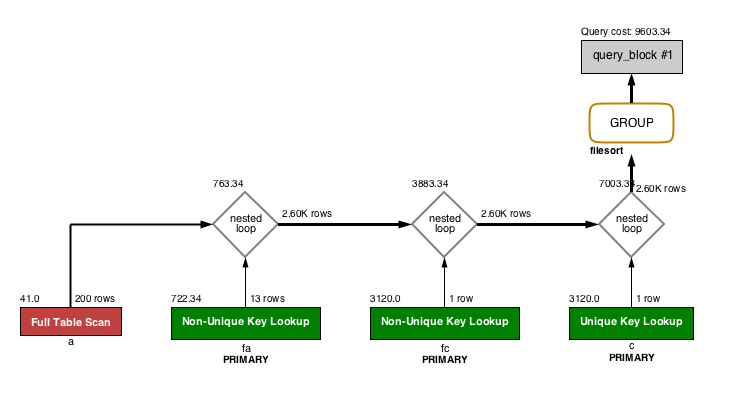 The Client Connections list was updated to take advantage of the metadata lock information provided in the performance_schema starting in MySQL 5.7.3, to show information about what locks a connection is waiting for and what it holds. Speaking of the Client Connection browser, a neat feature added in MySQL 5.6 is the connection attribute dictionary, which includes handy things like the name of the clients that are connected (as long as the client supports it). You can access that by clicking the Show Details button in the Client Connection screen. 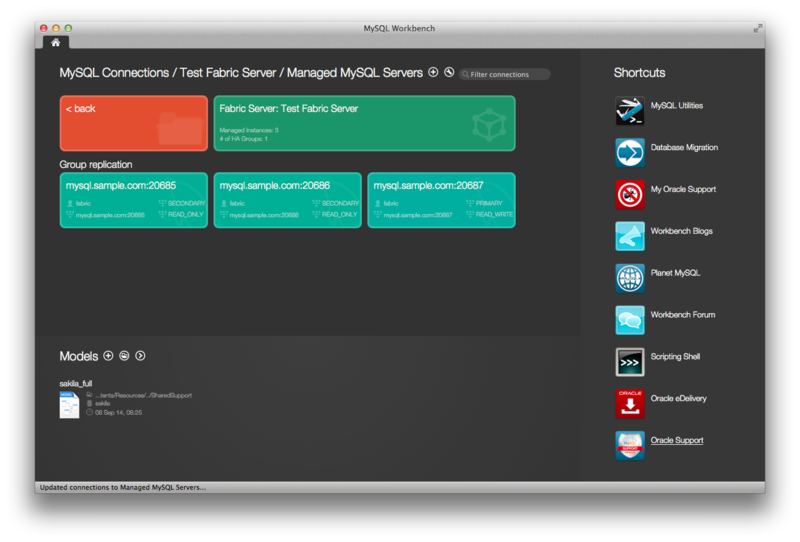 MySQL Fabric servers can now be added to the Workbench home screen. When clicked, these connections will dynamically query the Fabric server and individual connections for all the managed MySQL servers will be created. You can then connect to each instance as usual. Workbench modeling has always supported attaching SQL script files to the model, usually for documentation/organization purposes. 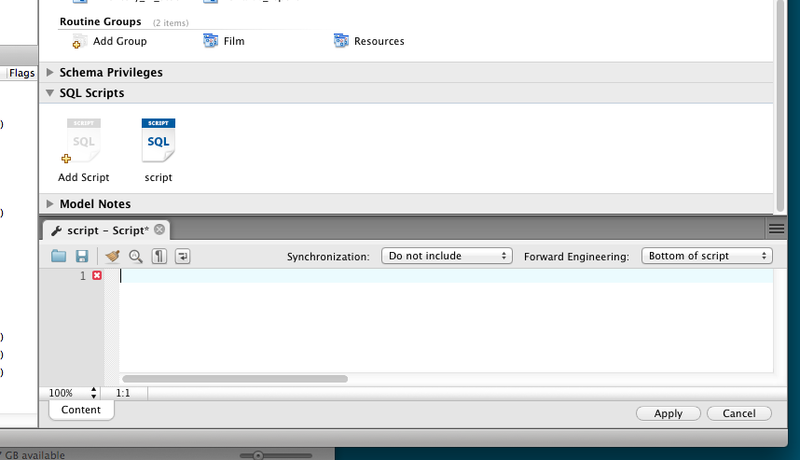 You can now include these attachments to the output script when performing forward engineering or synchronization. 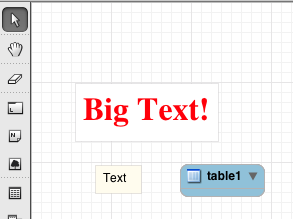 Note objects in diagrams can now be resized and have its contents automatically rearranged. You can also change style attributes like font, background color and text color. MySQL password is remembered for the session, even if not stored in the keychain, so you don’t need to re-enter it when a new connection is needed. 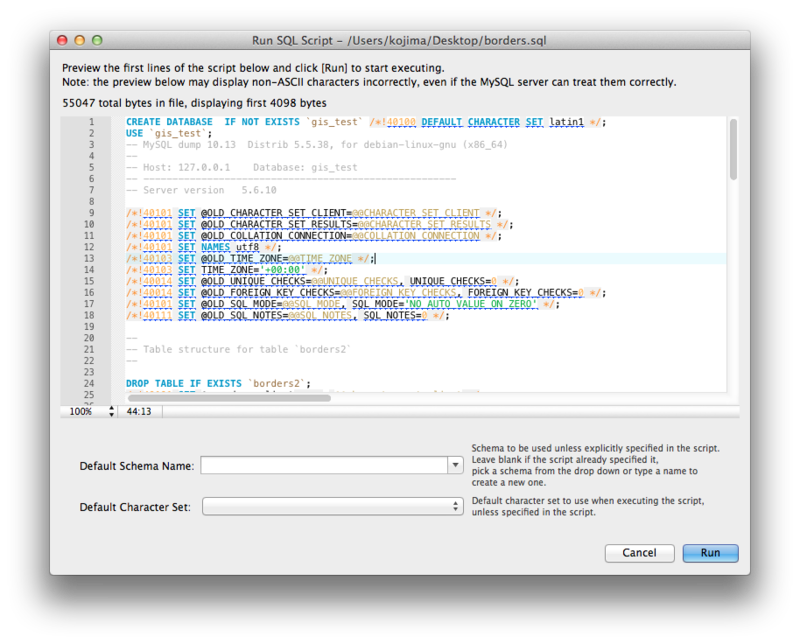 Keyboard shortcuts now work in the Scripting Shell. Resume data copy in Migration Wizard. If a data copy fails during database migration (because of a timeout or network failure, for example), you can now click Resume to retry the data copy. Workbench will find the last row that was copied successfully and try to restart the copy from that row. 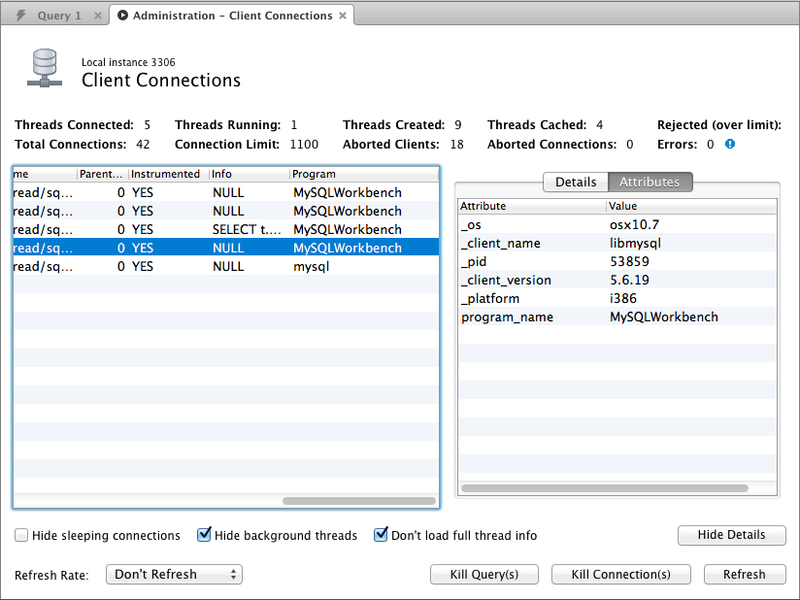 MySQL Workbench 6.2 also finally adds native 64bit support for Windows. This should allow working with larger data sets and script files. Oracle Linux/RHEL 7 support was added. To improve quality and user experience, we will be providing 64-bit binaries for Linux. Linux users who want 32-bit binaries, can compile from source.